Does anyone know how many story Updates there are left for union? I haven't seen anything to confirm this, but I suspect that we're reaching the end of Union Cross' story. It seems like it's building up to a climax and a conclusion. Still have my fingers crossed that they'll make a console port of the story and/or make a console game picking up where the mobile game left off. Seriosly, can't this game's story game update faster? There are still some links with KH-III that I would like to see explained, like Demyx and Luxord's past selves, who in blazes was the guy named "Darkness" that talked with Maleficent, and most importantly, hos is it possible for Ven to have been lived in that era and still be alive with no aging. Not to mention who Brain really is. 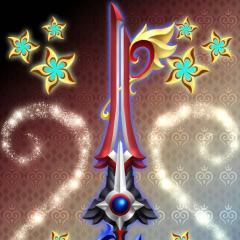 Whoa so Missing Ache was Ventus original keyblade? So I guess Missing Ache was Ventus canon keyblade before he got a new keyblade, Wayward Wind in Birth by Sleep? Seriously nothing is really happening here! I wish they stop teasing us and just show us the real main plot! They better show the main plot in the next update. I think it very well could be. 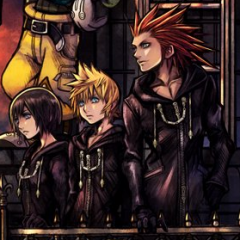 If the events of Union Cross are going to be directly referenced in the KH series from now on, it would be weird for them to leave the game as a mobile exclusive. They ported the handheld games to consoles, so I think they'll port Union Cross to consoles as well. I thought the same thing. What i'd like them to do is condense the events of Union Cross into another hour long cinematic (which shouldn't be that hard because honestly Union Cross doesn't have that much plot in my opinion) and release a sequel of sorts on consoles. Then they could package the cinematic with the sequel so they can truly catch newbies up to speed. I think it could really work. What are you talking about? There's no way they could fit all of it into an hour! How are you supposed to condense the important plot point that is finding Abu?? All jokes aside, people seem to be coming to the conclusion that Missing Ache is Ven's original Keyblade. While it's definitely a possibility, my initial thought was that they just didn't want to insert a single model for Wayward Wind into the game (possibly only for a single cutscene). Lol, you actually had me until I read to the end of the first part. But that's what I assumed when I saw Ventus with the Missing Ache. I get the feeling they just want to wrap up the story of Union Cross so they can focus on the next step of the series on consoles. And I don't think they'll be wrapping up UX anytime soon. They're apparently still making money off of it (otherwise it would've been shut down by now), so I'd say we probably have at least a year left of this game, if not more. Ugh. I would just so rather play it on my PS4. I'm so tired of having to charge my phone every time I play. The game saps my battery like you wouldn't believe.